One of our multifunctional, integrative device designed for wheelchair users is Centaur. It consists of 2 towers, a wheelchair bridge, slide, fitness station. Red floor is made of PE materials. If you interested of final installation result we added some pictures to satisfy your curiosity, take a look. Why Inter-Play you could ask? We want our customers to develop with us. You will be among the first to know about new offer and great deals on stuff to enhance and promote. We are a supplier of playgrounds and we specialize in equipping playgrounds for children. See more about: Playgrounds Roundabouts, Playgrounds Spinners, Playgrounds Hanging roundabouts, Playgrounds Cableway, Playgrounds Net structures, Playgrounds Swings, Playgrounds Seesaws, Municipal equipments, Municipal equipments price list, Devices for playground, Equipments for playground, Playground producer, Certified playground, Playground supplier, Producer of playgrounds, Playground price list, Municipal devices, Metal playground, Producer of municipal devices, Outdoor facilities, Playground projects, Stainless steel playground, trampolines. Subscribe to our newsletter to stay updated with news from us. To register, enter your email address in the field below. 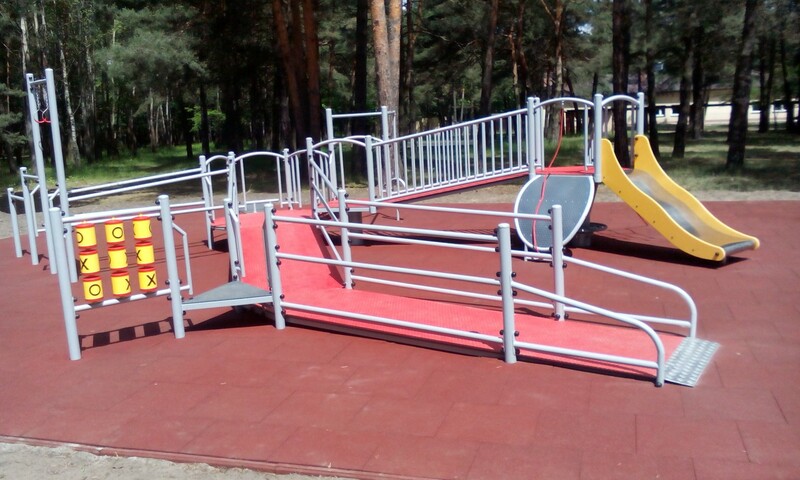 See more about: galvanized steel, metal playground, playground for disable people, stainless steel playground, sport system, outdoor facilities, playground projects, seesaws, roundabouts, rope systems, wheelchair users playground, swings, arenas .